ContiTech Flat Cord transmission belts are made with a single-layer, reinforcing section for a cross section which is thinner by 25% or more compared to plied belts of equal horsepower capacity. 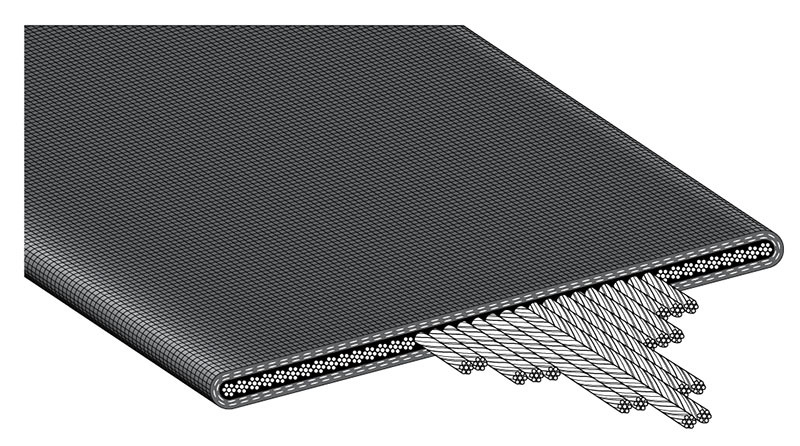 Flat belts are furnished in an abrasion-resistant rubber construction. They can be made with oil-resisting synthetic rubber compounds on special order in widths from 1 to 36 inches and lengths from 25 inches to 135 feet. ContiTech’s Truly Endless Multiple Ply belt is another product in the Truly Endless line. The round-and-round fabric construction can be split into multiple belts from one slab, representing great cost savings.